Attention all cooks & bakers!! 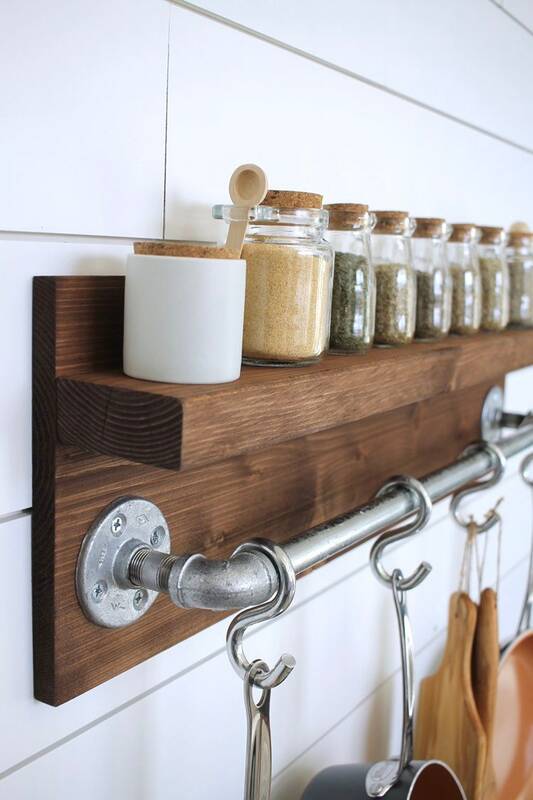 This Rustic Industrial Kitchen Pot Rack brings not only style, but convenience into your kitchen! 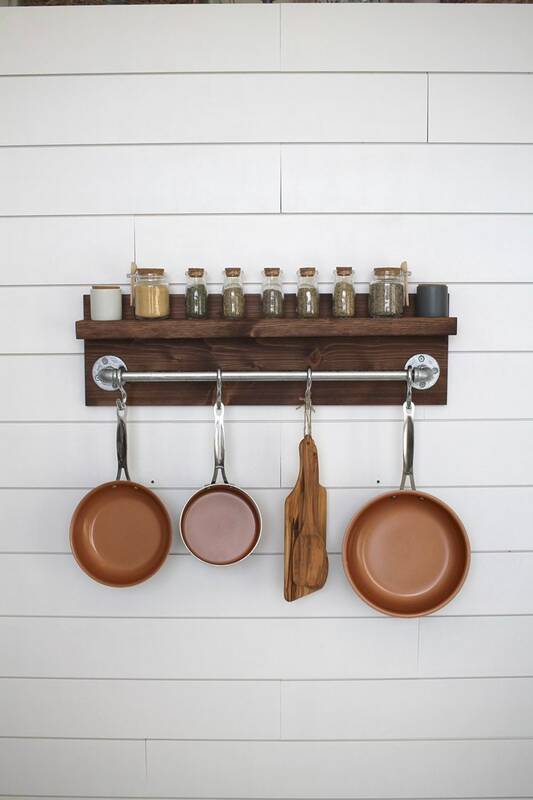 Display your favorite pots, pans & utensils AND save precious cabinet space! This rack comes with 4 "S" hooks free of charge. 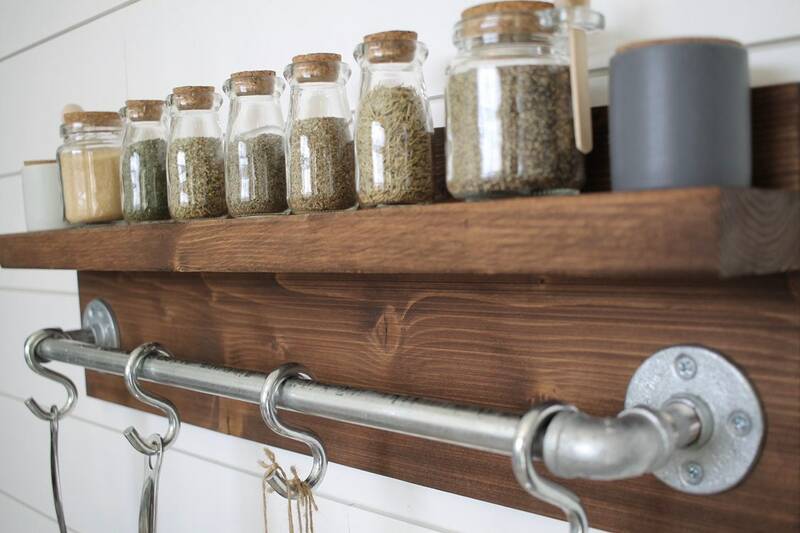 We created the bar of this rack using genuine galvanized steel piping, no faux piping here! 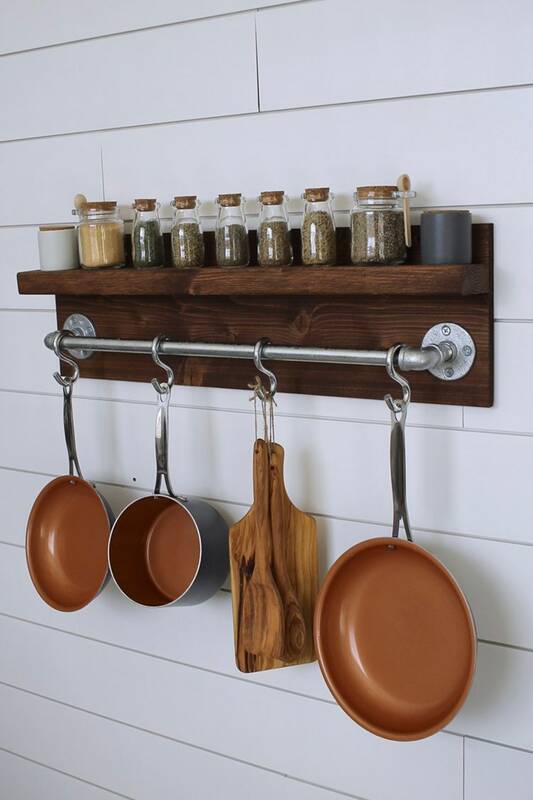 A: 30" x 9.25" x 4"
Q:How long is the bar used to hang the pots/pans? Q: How many “S Hooks” are included? Q: What is the usable shelf space on the floating shelf of this rack? 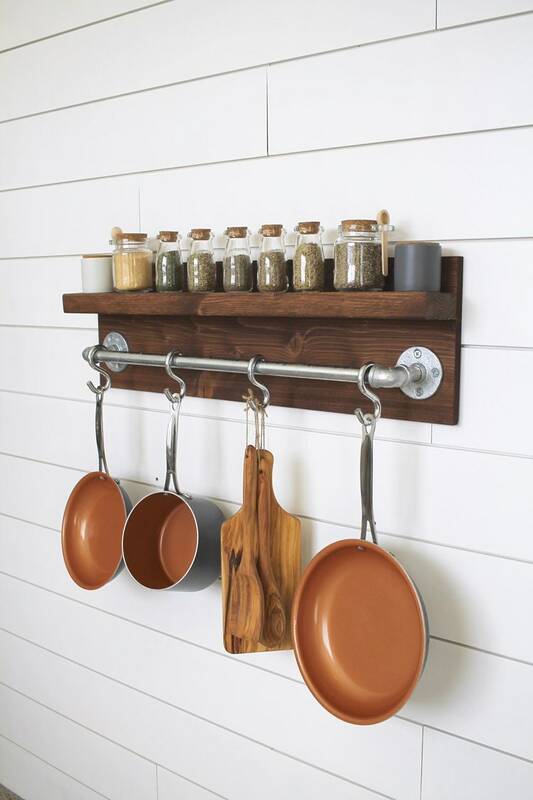 Q: How does this rack mount on the wall? A: We will pre-drill pilot holes in the shelf itself for you to screw directly into the wall. We will provide the screws & anchors for mounting (as well as directions). Super easy! ►These photographs provide a portrayal of what will be manufactured for you upon your order. 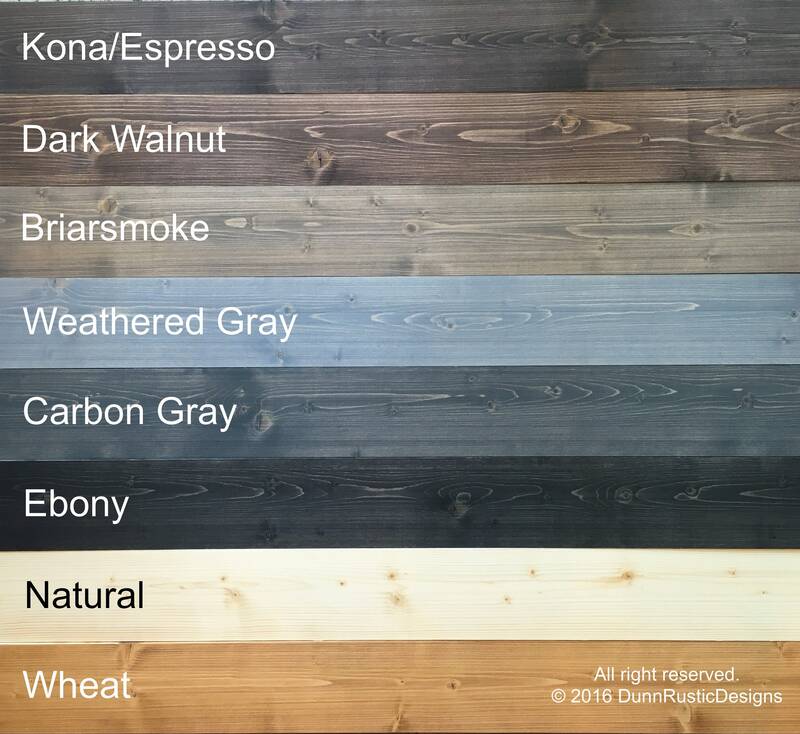 Every piece of wood is different & slight diversity is to be expected in the wood grain & the color of the stained wood captured in the photos might vary slightly also.